Investing is defined as purchasing an item or an asset with the hope that it will either appreciate in the future or generate income. There are many kinds of investments but stocks, bonds and real estate are by far the most common. Almost every kind of financial product you buy is a derivative of one or more of these three basic investments. When someone sells you a mutual fund, annuity, ETF or other investment the vast majority of the time it contains or is backed by stocks, bonds or real estate. These are called asset classes. In the financial sense the income or appreciation from these asset classes is the return you get from that investment. From year to year the return of each of these asset classes can vary and the return of each of the asset class will differ from each other. For example, everyone knows stocks are volatile. But the long term returns are stable and can be use to predict what the returns will be in the future. The return of all stocks as a group over a long period of time has been in the 9 to 10% range, bonds have returned 4 to 5% over the long term. Real estate returns are much more difficult to determine because of the different kinds of real estate. In my opinion, real estate is in the same return range to a little higher than stocks. I went through all of this to give you an idea of the basic returns you can expect. But these returns do not represent your final investment return. When you invest you have two major expenses, taxes and investment costs . Taxes can be managed but almost no one pays any attention to their investment fees. It is not unusual for investors to pay from 1 to 2.5% per yearin investment costs. Given the long term returns above that's a major cost. Let's say you have $500,000 invested, 2% of that is $10,000 per year. The sad part is that these costs are mostly hidden from investors. They are taken out of your investment before you get your investment statement so you never see them. If that $500,000 investment didn't change in value that's 20% or $100,000 of your investment over ten years that goes to investment fees. Again, this is not unusual. I see it all the time and in almost 100% of the cases the investor has no idea how much they are paying. Investors who are normally very frugal pay these high fees mostly because they don't know how high they are. If you had to write a check to your broker for $10,000 every year would you do it? Money is money whether it is secretly taken out of your investment account or you write a check. The reasons investors pay these fees are twofold. First, when fees are quoted as a percentage, 1 or 2% doesn't seem like much money at all. Second, brokers justify the fees by first selling you on the product. After you are sold the fees don't matter to you or they are just not mentioned in a meaningful way. Many investors have mutual funds. Some have up front commissions you must pay, but all of them have an expense ratio. The expenses ratio is the annual fee which is the cost of owning the fund. Most mutual funds sold by brokers have yearly expenses in the 1 to 2.5% range. Again you don't see this fee, but you still pay it. If you don't pay an upfront commission the broker's compensation is paid by increased yearly expense fees. Variable annuities have all of the same fees as mutual fund except they are called "sub account fees". In addition there are insurance and mortality expenses that can bring the total expenses of some variable annuities to 3 to 4%. Most are above 2%. In addition there are steep back end fees 2if you cash in the annuity. 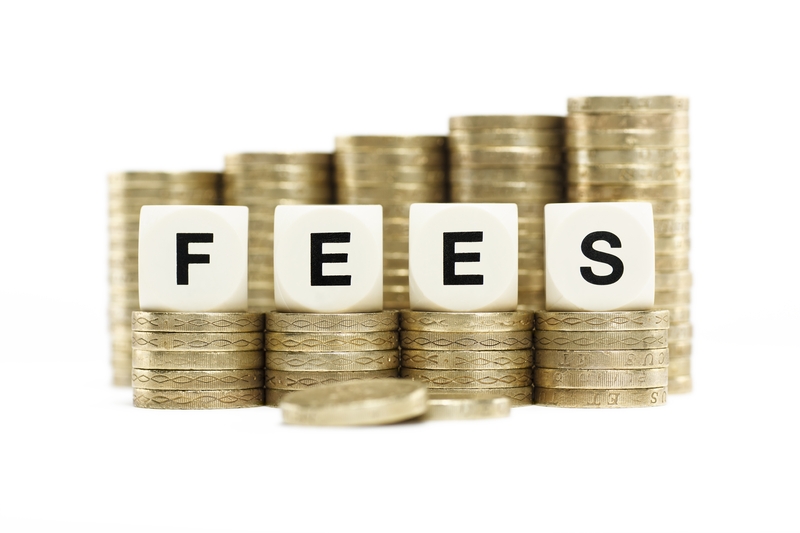 These fees may be in effect for up to 8 to 12 years. Annuities are some of the most lucrative products brokers sell. It's not unusual for the sales commission to be 6 to 8% on these products. The newest product in high cost investment arena is the "managed account" or the "wrap account". They are both similar in that your "financial advisor" will recommend a program where their brokerage firm or someone they contract with will manage your money for you. Most of these "programs" use mutual funds. The "managed account" adds another layer of fees on top of the mutual fund fees, usually 1 to 2% more. So the total cost of having your assets managed could easily be 2.5 to 3%. So back to the beginning, if you are hypothetically earning a 4 to 10% average return per year and paying 2% in fees, that comes out to anywhere from 20 to 50% your annual long term return that goes to your broker and others to pay for the cost of investing. This comes right out of your pocket. Small fees add up to very large numbers when you compound them over many years. Over time these fees will have a huge impact on your account balances and ultimately the amount you will need to save.